Georgia Secretary of State Brian Kemp has won in Georgia's Republican primary runoff election for governor against Casey Cagle after receiving President Trump's endorsement, reports the Associated Press. He will face Stacey Abrams in the fall primary for the governor's seat. The backdrop: Trump endorsed Kemp over Cagle just last week. Though both were pro-Trump candidates, Kemp was the candidate who leaned in hardest to Trump's base, claiming to be a candidate who is "so conservative" that he was willing to deport immigrants with his own pickup truck. Trump bump: Cagle beat Kemp by more than 10 points in the May primary election, but neither broke more than 50% of the vote which resulted in this runoff election. Kemp is one of six Gubernatorial candidates Trump has endorsed in 2018. The president is in good favor with Republicans in the state, the NYT reports, and had an 81% approval rating among them in January. Many of the precincts Kemp struggled in in May he dominated this time around. Yes, but: The New York Times reported Republican leaders were surprised by Trump's endorsement of Kemp and have some concerns about him alienating moderate Republicans and independent voters. 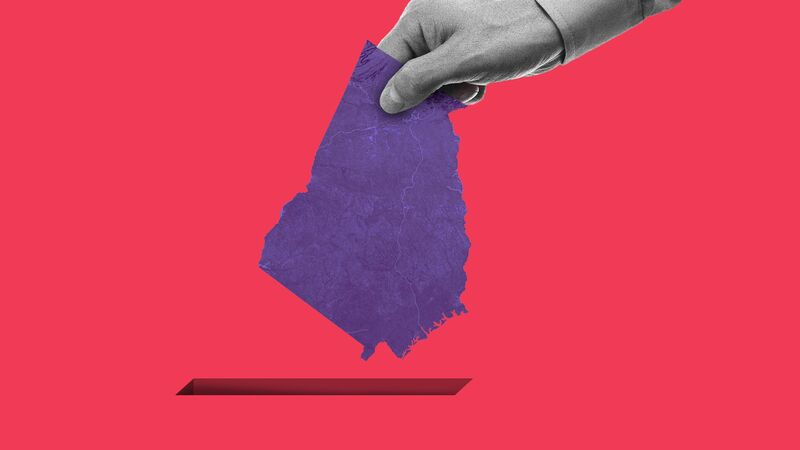 The other side: Elisabeth Pearson, the executive director of the Democratic Governor's Association, said Cagle was spot on when he said "this primary was about who could be the craziest on divisive issues, and Brian Kemp fits the bill." Correction (Nov. 8): This article has been corrected to note that Brian Kemp suggested he would use his pickup truck to round up unauthorized immigrants. An earlier version of the story wrote that he would use an "immigration bus," which was instead used by a competing candidate in the Georgia Republican gubernatorial primary.